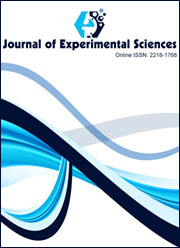 The submission has not been previously published, nor submitted to another journal for consideration (or an explanation has been provided in Comments to the Editor). The text adheres to the stylistic and bibliographic requirements outlined in the "Authors’ Guide"
Authors willing to submit their manuscript to Recent Research in Science and Technology are requested to carefully go through the guidelines. Please see the detailed Author's Guide here [The papers submitted without following this style and format will not undergo review process, and will be returned to authors].